Vintage Old Postcard, Africa. Nigeria. 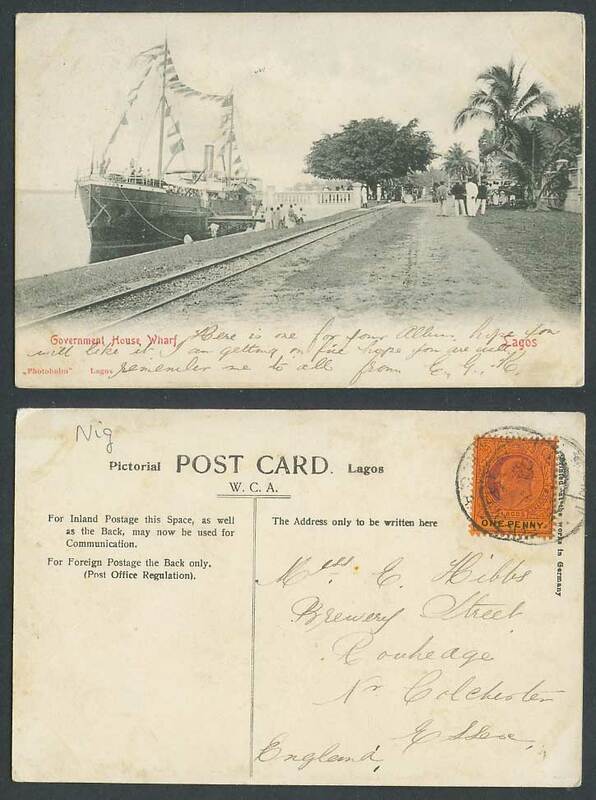 Lagos, Government House Wharf, Steamer Steam Ship, Street Scene, Railway Railroad. Palm Tree. Postally Used in 1905 with King Edward 7th 1d stamp. Background: Lagos, Nigeria’s largest city, sprawls inland from the Gulf of Guinea across Lagos Lagoon.